Our New York Times bestselling book, It Starts With Food, outlines our full strategy for implementing a “Paleo” framework while still honoring your vegetarian or vegan principles. Sounds like an oxymoron, doesn’t it? Well… it kind of is. But that doesn’t mean our vegetarian friends can’t benefit from the concepts behind our program, while still working within the constructs of their self-imposed dietary restrictions. In this special section of the book, we talk about the best food choices for vegetarians and vegans, ethical resources for responsibly sources animal products, and outline our strategies for minimizing the downsides of a traditional vegetarian diet. It’s a must-read for those of you transitioning out of vegetarianism, wondering how to make your vegetarian/vegan diet as healthy as possible, or helping a friend, client, or loved one improve their health with a Paleo framework. In It Starts With Food, we outline several resources for vegetarians and vegans looking to implement a Paleo framework in their own diets. Below is a list of additional resources, as well as our exclusive shopping list for vegetarians and vegans. Conversations With a Vegetarian: How to talk Paleo nutrition with your vegetarian friends and family. The Whole9 Conscientious Omnivore Series: How to make healthy, responsible high quality animal protein choices, focusing on a variety of issues. Eating Meat: A Primer for the Meat Challenged: Easing your transition into eating animal protein sources. US Wellness Meats: Buy the highest quality grass-fed, pastured, wild-caught and organic meat, fish and eggs shipped anywhere in the U.S.
Eat Wild:A comprehensive listing of grass-fed, organic meats and produce in all 50 states and Canada. Heritage Foods: Retail food products from heritage and traditionally raised animals, including grass-fed beef, pastured pork and other foods. As an additional special bonus, download our complete shopping list, specifically tailored for vegetarians and vegans. In our shopping list, we outline the best animal and plant-based sources, to meet the needs of former vegetarians, current vegetarians willing to eat some animal products, and those who abstain from all animal sources. Includes best, better, good and avoid recommendations for eggs, dairy, and plant-based protein sources, plus vegetables, fruit and healthy fats. We hope these resources help you apply the Paleo framework to your own diets, regardless of how much or how often you include animal protein sources. And remember, simply selecting the healthiest vegetarian protein sources isn’t the full story! The way you portion food on your plate, the preparation methods of plant-based protein sources, the manner in which you supplement and other factors all play a role in the success of your vegetarian diet. Read It Starts With Food for all the details of how to implement our healthy eating framework for vegetarians and vegans. Dallas and Melissa — thank you so much for this! i signed up for the paleo summit just to hear your talk (and have very much enjoyed the rest of it, i must say!). i listened yesterday and it was just great! i have a vegetarian friend who has changed her tone from curiosity to necessity about going paleo (due to her health problems.) The talk was very helpful! Thanks again for all you do! Big love from the whole King family! Hi! I upgraded my Paleo Summit Package but can’t seem to find a link to the shopping guide for Vegetarians/Vegans…I was able to download the Success Guide without any problems…can you point me in the right direction for this? Hi there! I really loved your talk during the Paleo Summit. While I eat paleo myself, I have a lot of vegetarian friends who are very much interested in staying veg, but would like to do it more healthfully. 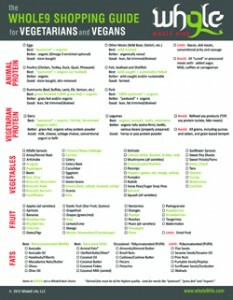 Will you be releasing you shopping list for vegetarians in the future outside of the Paleo Summit? I don’t need all the videos, but am interested in your resource. @Colleen: Nice to hear from you, King Family! Hope you’re all doing well, and thanks for dropping a note about the Paleo Summit. Glad you enjoyed our presentation. @Andrea: I shot you an email with the link. So helpful! I am on Day 1, Hour 5 of Paleo and had been wondering how to continue my “meatless Mondays” effort! Going “paleo” as a vegetarian is basically what I did when I switched to a raw vegan diet and it damaged my health in many ways. Thankfully I am just “paleo” now and I’m hoping that I’m repairing some of the damage. Even though I’m (obviously) not a vegetarian, I’ve just added 4 books to my already-too-long-of-a-list-of books to read. 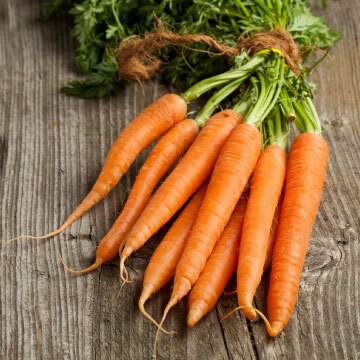 Thanks for this post and thank you so much for the recommendations for our veg*n friends!! I remember very early on at the first workshop I attended, when the question came up about what to tell our vegetarian friends, there wasn’t really an option. I’m so happy we now have options to give them so that even if they do not want to eat meat, we can encourage them to up their healthy foods intake anyway and make a sort of compromise. Kudos!! And LOVED the summit video! But for some reason my download package did not come with the vegetarian shopping list. ? You can purchase the entire Paleo Summit package, with all of the resources, using the links above. It’s designed so folks who could not listen live would still be able to access all of the materials (and bonus material). I recently bought the ebook “It Starts With Food” and was expecting (based on the March 5, 2012 post) the Whole9 Shopping List For Vegetarians to be included with that purchase. My wife suffers from IBS. In the past she has eaten chicken and ground turkey. She has complained of being constipated. This constipation subsided when she discontinued meat proteins. I think the shopping list would be helpful to her. As referenced in the book,all of our free downloads (including the vegetarian shopping list) are available under the “Book” link above – http://whole9life.com/itstartswithfood. I am just starting out, but struggling with breakfast. I am a pescetarian, so I am sure that makes it a little easier. It seems eggs are the best option for breakfast, but I feel I might be eating too many and they can get a little boring without cheese, bread and such. Does anyone have any suggestions? As a book for meat eaters and for those interested in a better Paleo and Primal way of eating it gets 5 starts. And although we Vegetarians appreciate the shopping list and chapter of how to make it work, I wish there were more protein options! You can eat organix fermented dairy as a vegeterian correct ? Paleo Vegetarian, thank you for the four-star review! I wish there were better protein options as a vegetarian too, but we outlined the best of the best in our program, and then gave vegetarians and vegans some “less bad” options simply for variety. Aubrey, I don’t believe there are hard and fast “rules” about vegetarianism – people choose their own form. If you want to eliminiate most animal products but include organic fermented dairy, that’s entirely up to you. During the whole30 is applegate uncurred bacon ok?